The transition from the classic Colonia Patricia to the late ancient Corduba was a slow and gradual process that became fully consolidated in the sixth and seventh centuries. 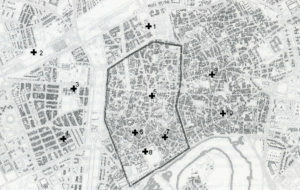 From an urbanistic point of view, the archaeological documentation reflects the consolidation of a discontinuous and dispersed model of occupation characterized by the alternation in the space of three types of lots, including those occupied with different publics; those less densely occupied, and others event emptied. Even if the survival of the occupation in the high zone of the city is evident, the city undoubtedly gravitated towards its southern half, looking for elements such as the river, the bridge and the late antique center of power. 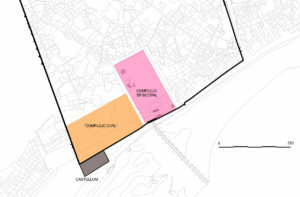 Nor can we forget the presumably appearance in this period of a series of suburban agglomerations in the vicinity of the main churches, with the consequent densification of population at the extramural space. The presumed expansion of the city beyond its wall perimeter did not imply an ending in the maintenance of the walled enclosure. 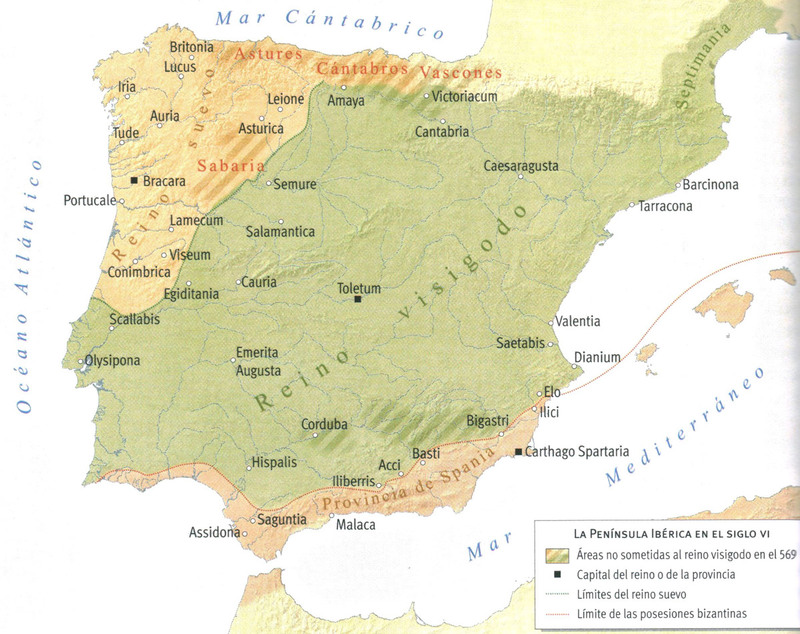 In the sixth century, the southern half of the Iberian Peninsula saw a quadruple confrontation (between the Byzantine Empire, the Visigoths, the local aristocracy and the Visigoth rebels) what could have affected the wall perimeter of Corduba. The continuous attacks and sieges that Cordova underwent in 550, 568, 572 and 584 seem to have had their reflection in the closure of some doors and in the restoration of a couple of sections. More limited is the information about the road and water infrastructure, although the archaeological record points to a slow and inexorable disappearance of the orthogonal framework. In addition to the creation of some new streets, and to the privatization of certain porches and road, we must add the probably poor state of maintenance of the sewage network, since most of those dated during the sixth and seventh centuries have been discovered a short distance from the river and drained directly into the Baetis. The Guadalquivir river was not used as a source of clean water, since the bulk of the population used wells and cisterns. This image contrasts with the continued and uninterrupted use of the so-called “western vicus aqueduct”, whose final destination could have been the suburban church of San Acisclo. In relation to the public and semi-public civil architecture, the main construction was the civil complex, where later an islamic castle was erected. We cannot forget several isolated intramural buildings linked to the elites, as some of them could have a public or semi-public function. More prolific is the information about the Christian architecture, known thanks to diverse written and archaeological sources. Inside the walled enclosure stands out the Episcopal Complex, which in the sixth and seventh centuries could have reached an area of two hectares. This large area, corresponding roughly with the surface occupied by the current Mosque-Cathedral of Cordova, housed building such as the Cathedral (consecrated to St. Vincent), a baptistery, the Episcopal Palace, as well as other constructions of various functionality which gradually begin to be better known. Already in the extramural space, the written sources mention three basilicas (dedicated to San Acisclo, San Zoilo and the Three Crowns). Unfortunately, its exact location remains problematic, as we hardly have buildings whose religious use is beyond any doubt. The main exception is Cercadilla, where several material testimonies reflect the religious use of part of the complex, which also seems to have housed residential and productive structures. The domestic architecture of the sixth and seventh centuries is still poorly known. 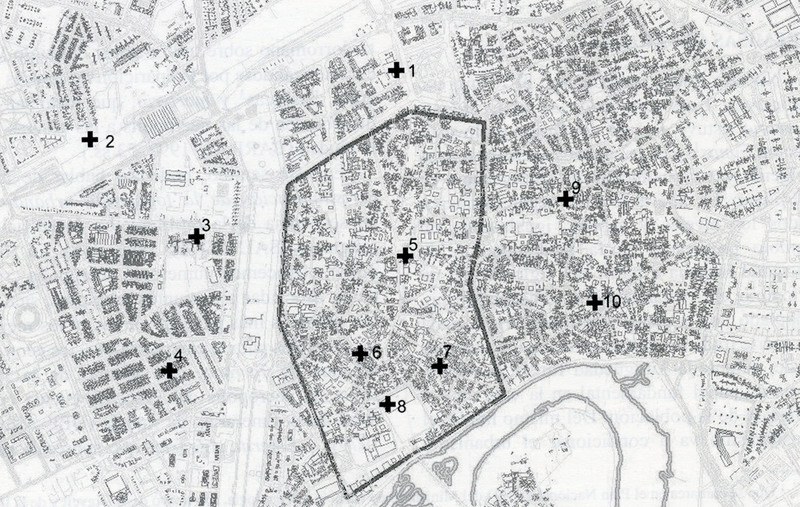 In the current state of the investigation, we are aware of some trends such as the abandonment of some domestic buildings, the presumed survival of some old domus (transformed perhaps into tenements them), the reurbanisation of the old theater (where a neighborhood was installed), and the construction and / or reform of certain aristocratic intramural buildings whose public, semi-public or private use has not been determined with complete precision. In the space outside the wall perimeter we are aware of several residential and / or productive suburban establishments linked to the elites. They were still in use throughout the sixth and seventh centuries, and even beyond the eighth century, when some of them were transformed into Islamic palaces. The bulk of the population of Cordova must have worked in artisanal and productive activities that are not easy to trace. Currently, we ignore the main sources of stone material, as well as the location of the workshops of sculptural material and the ceramic kilns active at that time. For the moment, the documentation comes from the space outside the walls, where some isolated craft structures related to metal work have been identified. Finally, in relation to the funerary world, the sixth and seventh centuries were characterized by the disappearance of the majority of the old pre-existing suburban cemetery areas, with the consequent concentration of the burials in certain points like the vicinity of the basilicas. At this moment, the Christianization of the funerary topography is evident, as it has been recovered a rich catalog of decontextualized Christian inscriptions. In any case, the limited number of tombs of the sixth and seventh centuries (in comparison with the third, fourth and five centuries) could reveal a decline in the Cordoban population due to the effects of plagues, famines and outbreaks. Although the bulk of the population was buried in the suburban area, in the intramural space we have evidence of several burials presumably associated with nearby residential and/or productive establishments. 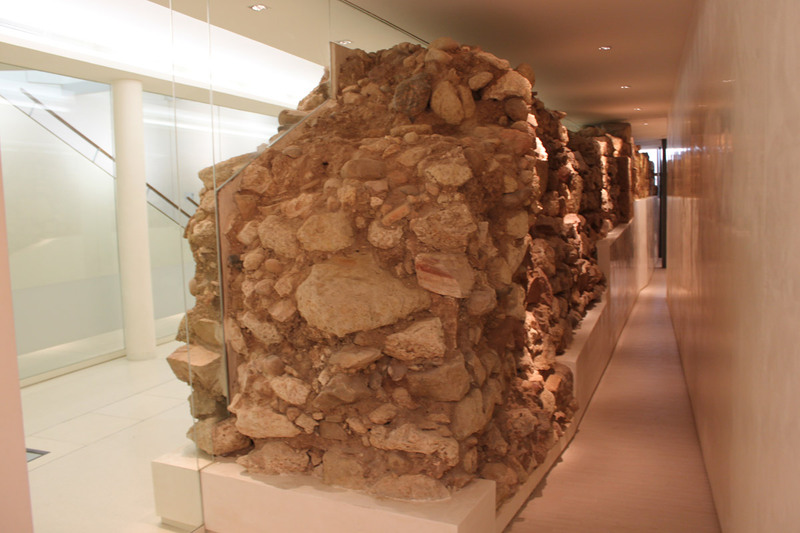 Only future archaeological excavations could confirm the possibility that the Episcopal Complex had certain privileged graves, as it has been noticed in other episcopal groups of Hispania. SÁNCHEZ, I. Mª. (2002): “La incidencia del Cristianismo en el mundo funerario cordubense”, en D. VAQUERIZO (ed. 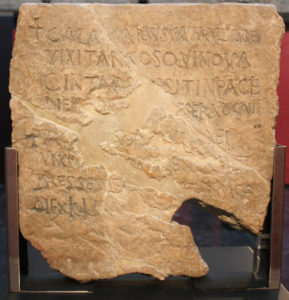 ), Espacios y usos funerarios en el Occidente Romano, vol. 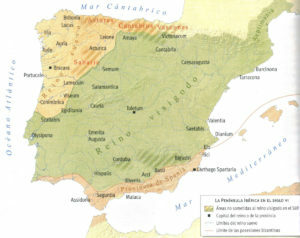 II, Córdoba, 325-342. VENTURA, A. et alii (eds. ), (2002): El teatro romano de Córdoba. Catálogo de la exposición, Córdoba..